The Belle Hall study examined the water-quality impacts of two development alternatives for a hypothetical site in Mount Pleasant, South Carolina. 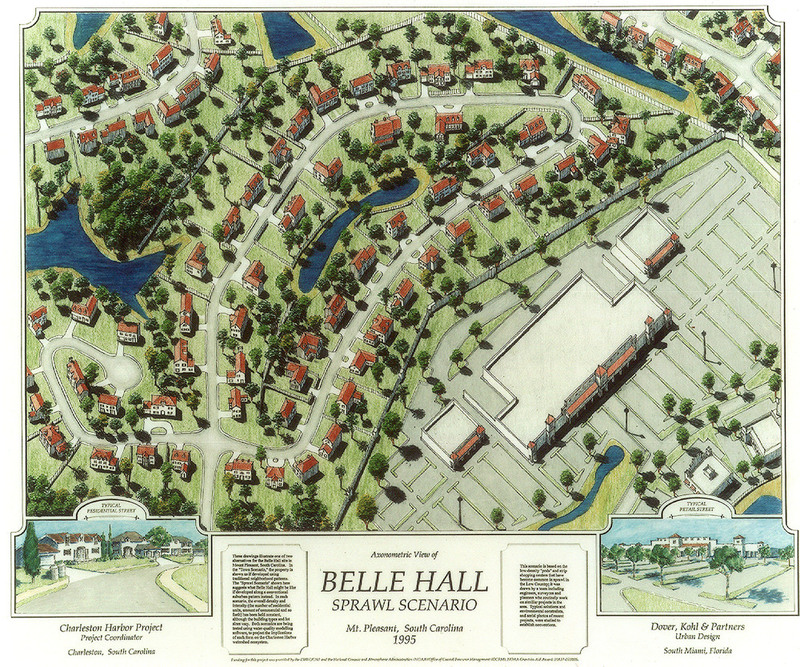 In the "Sprawl Scenario", the property is shown as if developed along a conventional suburban pattern. 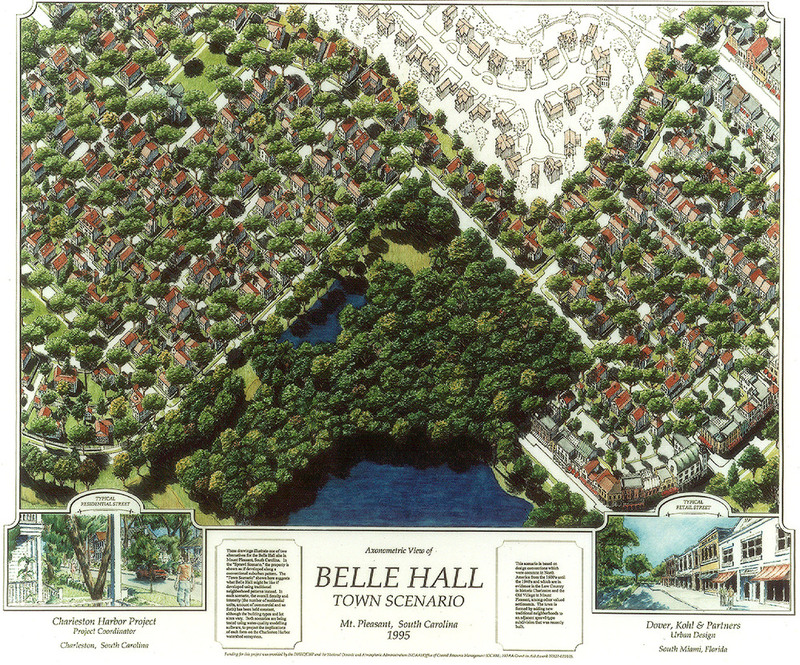 The "Town Scenario" suggests what Belle Hall might be like if using traditional neighborhood patterns instead. In each scenario, the overall density and intensity (the number of residential units, amount of commercial and so forth) has been held constant, although the building types and lot sizes vary.